Sportvision is testing tracking devices in hockey player jerseys and in pucks. 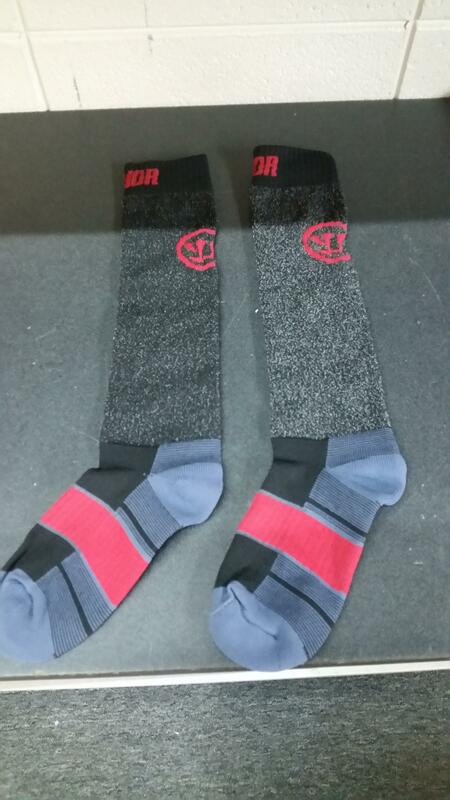 This past weekend the Cincinnati Cyclones played their season opener with a special kind of socks. Kevlar socks prevent serious injury to the ankle and calf from a potentially damaging skate blade. Kevlar socks prevent blades from cutting the player's ankle or calf. Forward Kenny Ryan has worn them for a few years now under his actual game socks. "I had a buddy who took a skate and cut his Achilles and wasn't ever able to play again. I think these are starting to become league-wide." While the socks might be slightly low-tech, some other gadgets are not. At September’s World Cup of Hockey, players, coaches and fans got a look at referee cams and new graphics and stats thanks to tracking chips. Sports Illustrated reports the ref cams captured everything including such memorable moments as Connor McDavid delivering a precision assist to Auston Matthews and Alex Ovechkin going off on the ref when his goal wasn't allowed. The new tracking technology from Sportvision is embedded inside the pucks and the back of player jerseys. Infrared cameras at Air Canada Centre in Toronto helped people see movement of the puck and players. Coaches are interested in the large amount of data the cameras and tracking chips can generate including puck trajectory, player ice time, shot direction and distance traveled. There are still kinks to be worked out. Cameras weren’t seeing the infrared tags of players in the penalty box and still counted their ice time while they were sitting there. It’s unclear if the Cyclones will ever use referee cams and tracking chips. Sportvision CEO Hank Adams told Yahoo Sports putting all of this equipment in stadiums is expensive, so it comes down to how they’re using the data, what the effects are going to be and what the benefit will be to fans. NHL Commissioner Gary Bettman said after the World Cup, the league is ready to embrace new technology that isn’t a gimmick, possibly referring to the glow puck, deemed a 2-million dollar failure in the 1990s.